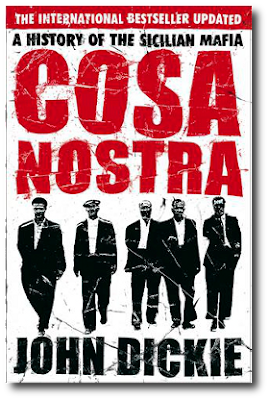 Nick Squires at the British newspaper the Telegraph offers a piece on Cosa Nostra members who were arrested after holding meetings in a large fridge. It was intended as a cunning ruse to evade surveillance by anti-mafia police. When a bunch of alleged mobsters held their meetings inside a giant fridge in a town in Sicily, they were convinced that the thick insulating walls would protect them being eavesdropped on by police. But detectives had got wind of the secret summits that were regularly held in the fruit and veg lock-up and had planted recording devices inside, in an operation they code-named “Freezer”. Note: If you would like to learn more about the Cosa Nostra in Sicily, you should read John Dickie's Cosa Nostra: A History of the Sicilian Mafia.